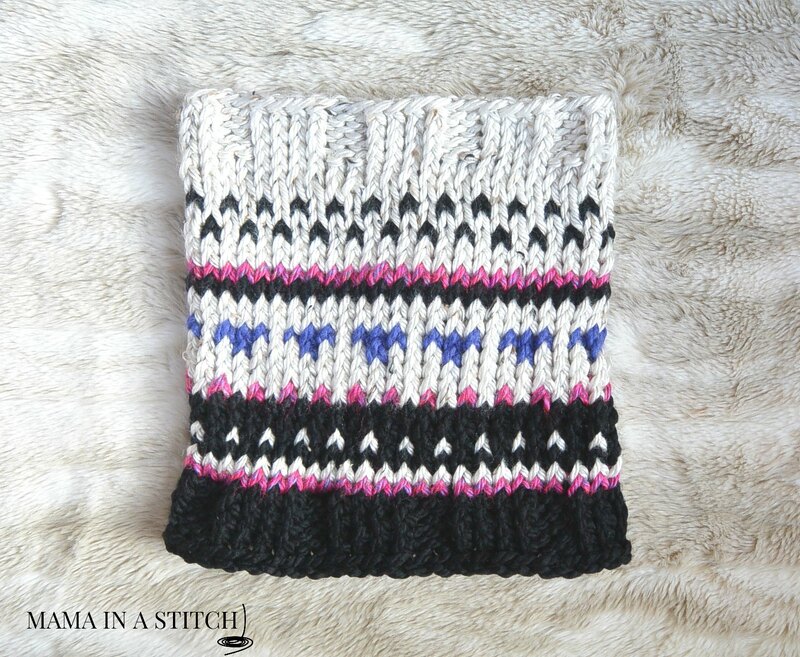 Hi, this is Jessica from Mama In A Stitch blog  and today I’m sharing with you an easy “fair isle” knit cowl pattern! After the holidays I tend to have a lot of leftover skeins and thought it would be nice to make a simple fair isle cowl to use up that yarn. Feel free to use any colors that you like or that you have in your stash. Part of the fun is playing with the colors and mixing them up. There are so many beautiful fair isle sweaters and accessories out in the stores right now, but who needs to buy when we can make it ourselves, right?! 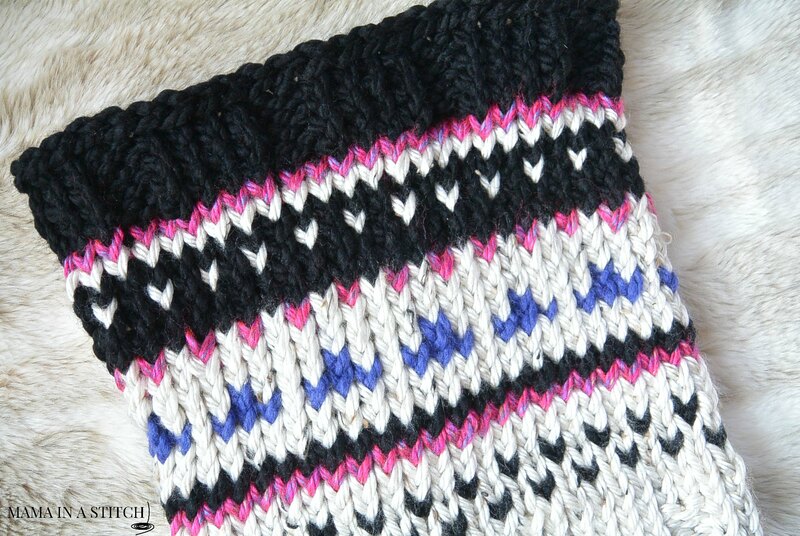 If you’ve never tried fair isle, or many color changes in knitting, this makes a good project to start with. I always head over to YouTube to learn new techniques like color changes, so definitely do the same if this a new concept to you. This cowl is done with super bulky yarn and large US size 17 knitting needles, making it a fairly quick knit. We still have a lot of winter ahead, so this cozy cowl will get a lot of use before the warmer days of spring. Lion Brand Hometown USA in Aspen Tweed, partial skein in Phoenix Azalea. You can see my stitch marker telling me that it’s the start of a new round in the picture above. 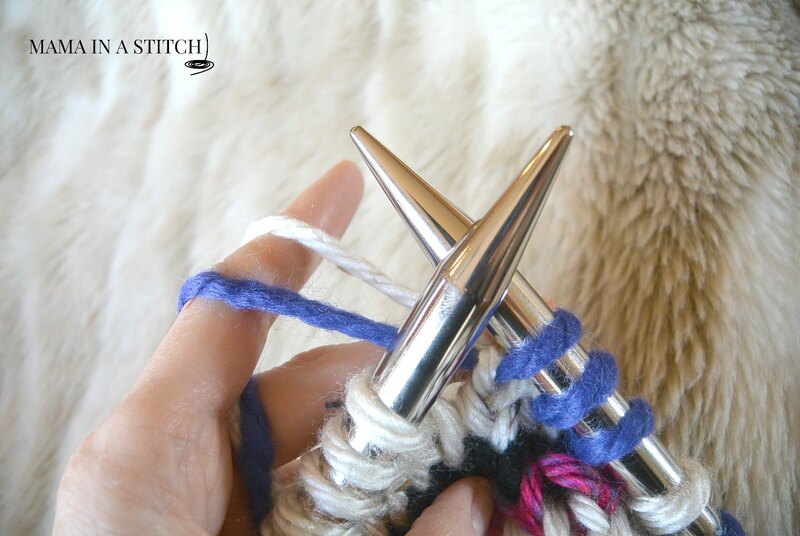 There are a lot of methods on how to knit with two strands, or colors of yarn. 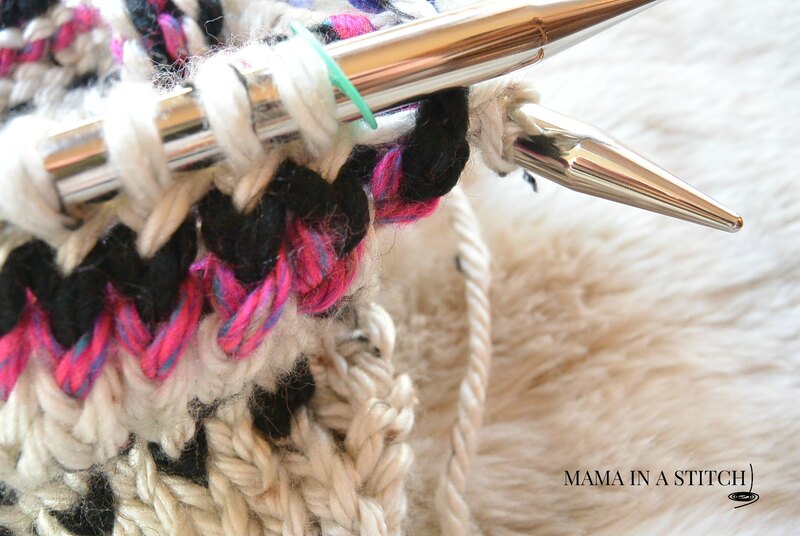 This is the way I do it, as I knit continental style. Here I’m doing a color change. I’ve attached the blue with a knot and will continue to work the pattern. Leave a tail to weave in at the end. 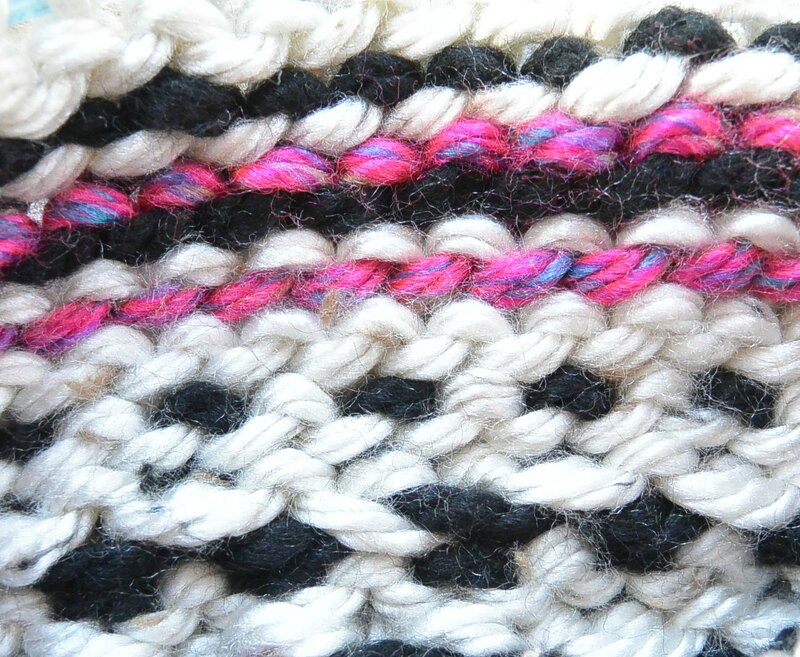 This is what the inside or wrong side of the cowl looks like as you work those different colors. Now get your tapestry needle out, and weave in all those ends. There’s quite a few! 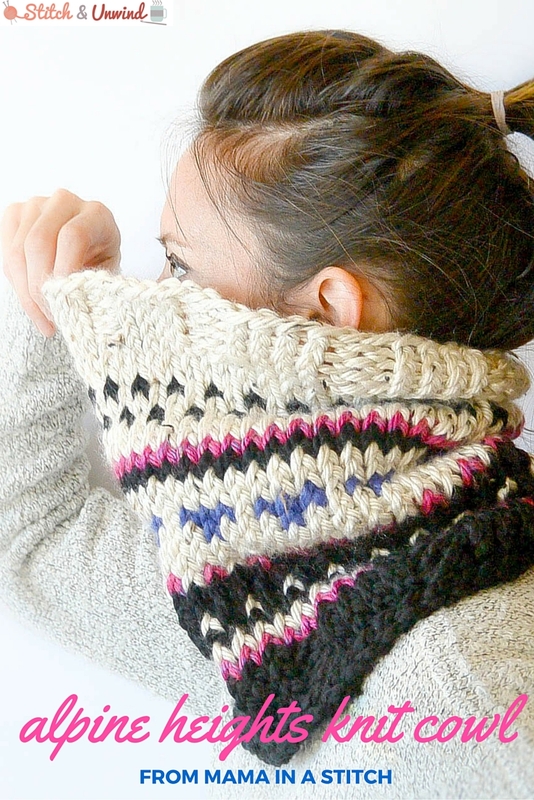 I hope you’ve enjoyed this “Alpine Heights Cowl”! 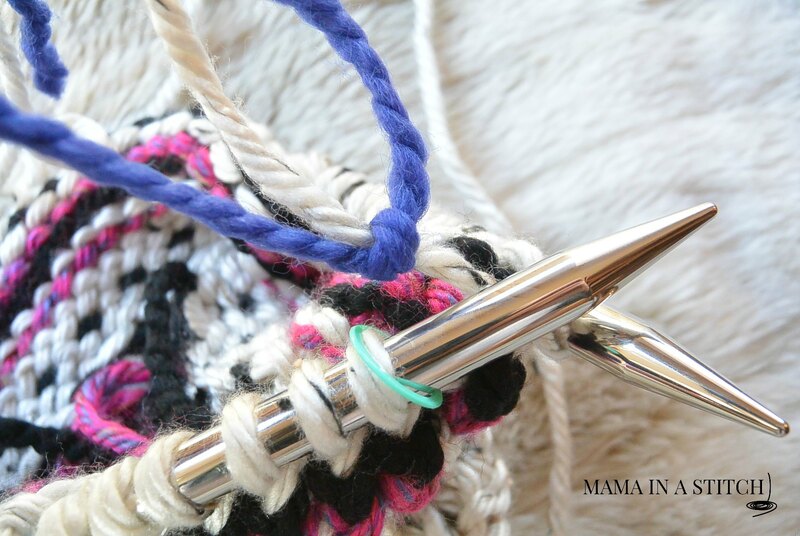 How do you use up your leftover yarn?